Nostalgic thoughts are those that come to you causing you to suddenly realize “it has been a long time since…” or “it was a long time ago when…”. Here’s something that caused that for me. 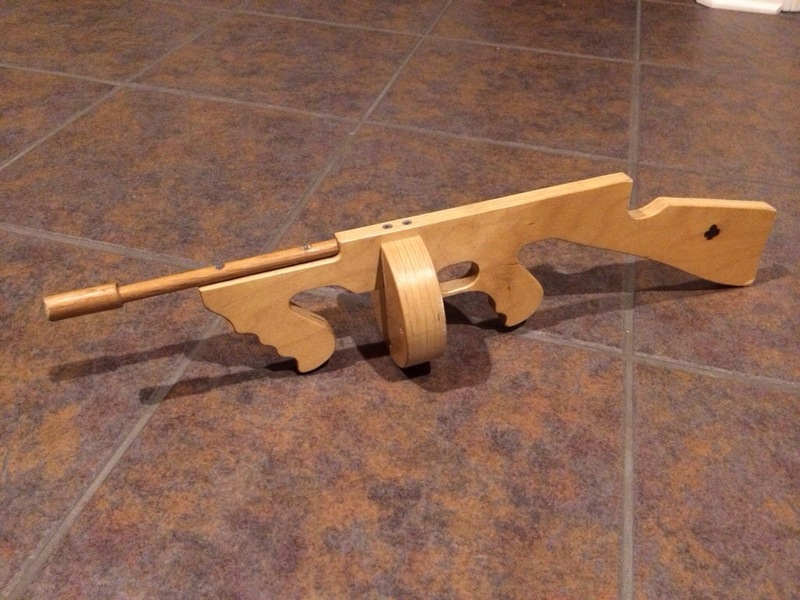 Approximately seven years ago I built (2) wooden Tommy Guns; (1) for each twin. I haven’t built any more since then, only those two exist.